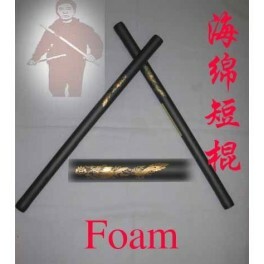 Foam practice escrima with gold dragon printed - Bok Lei Po Trading Inc. 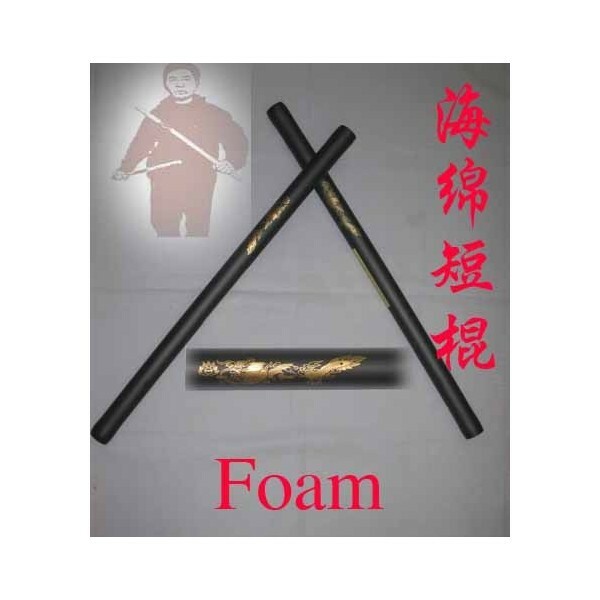 Foam practice escrima with gold dragon printed-this black foam practice escrima is made of durable 1/4" foam with PVC inner core., 28" long with a 1-1/4" diameter. Foam covering is accented by a printed gold dragon centered on sticks. sold in pair.